I did of some renderings of some of the Acid Mines Players, in the retro style of Pixel-blocks. If there was anyone who missed out, I'm sorry I forgot about you and i will be sure to add you later. HOLY MOTHER OF GOD THAT IS AMAZING! ONE OF THE BEST THINGS I'VE EVER SEEN!!!! Those look really cool. I want to put them in a game. I just love how with mine, my mouth and eyes are about 50% smaller than the rest of the face! Ahaha! Love it! 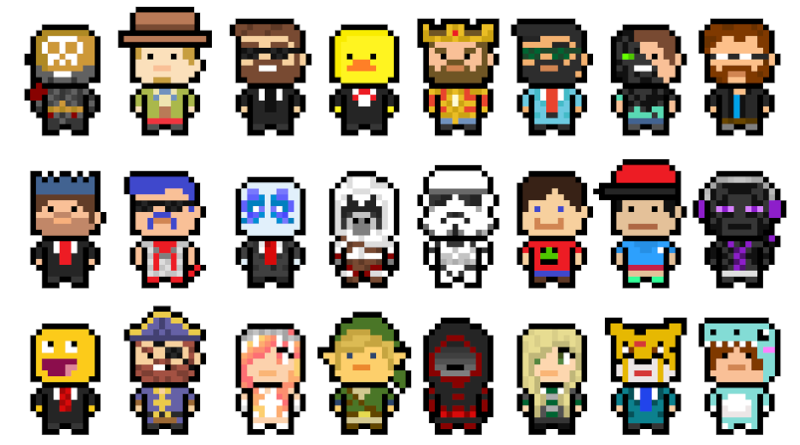 I've added some more people. Puck yeah my hair looks sick. Also that would be a cool game Psp. Maybe the start of something new? Love to try it but it seems I'll have to wait for the Mac version of Acid Mines Games to come out. It is literally just walking around a room with the admins in it. It's not actually a game. Install WinRAR or 7zip. Every computer should have one. Happy Halloween!!! If you want your spooky skin added, you need to enter it in the server costume competition. So far we have me, Sir PSP, Pluky the Ducky, Fazed Panda and Ohad the King. 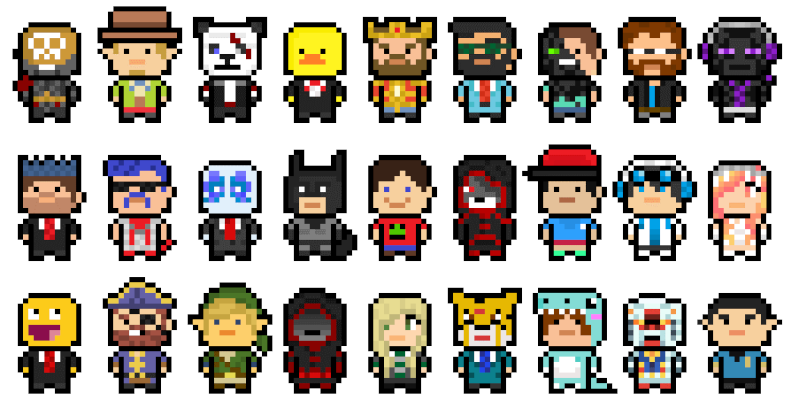 Your pixel version of me looks way better than my normal skin!